This photograph of a young scientist in training is the second in the Who’s That? category here on Webvision. 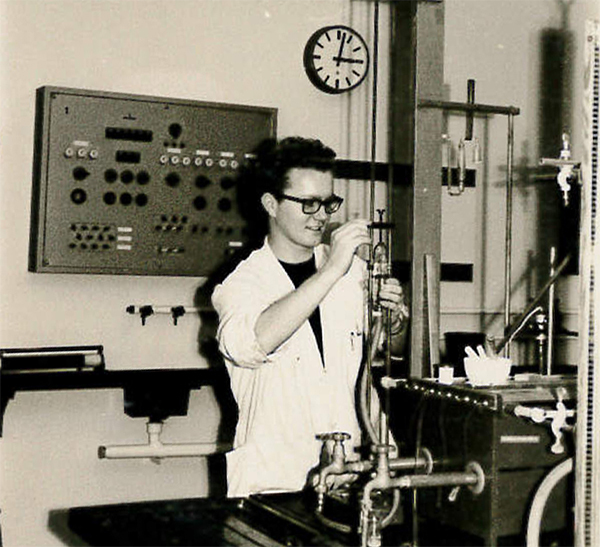 The inaugural post in this category explains the idea behind these posts, but this post shows us, as you’ve deduced from the post title, a young Wolfgang Baehr seen in the Institute for Physical Chemistry at the University of Heidelberg in 1963. Incidentally, one of Wolfgang’s sons is studying at Heidelberg University and looks shockingly like him in this photo. Wolfgang was born in Mannheim, Germany and studied organic chemistry while at the University of Heidelberg before moving on to graduate school and then where we find him today in vision science. This next photograph was taken during Wolfgang’s PhD thesis (Structure of Bilobalide, a New Sesquiterpenoid from Ginkgo biloba) in the lab of Dr. Klaus Weinges at the Institute for Organic Chemistry, University of Heidelberg, in 1968. 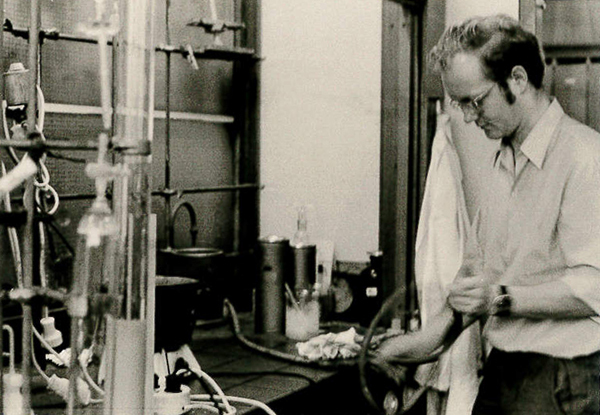 Wolfgang’s career in retinal research began in the Biochemistry Department at Princeton University in 1976. From there he was recruited to the Cullen Eye Institute at Baylor College of Medicine. From there, the Moran Eye Center at the University of Utah recruited him as Professor of Ophthalmology where he currently is the Ralph and Mary Tuck Professor of Ophthalmology & Visual Sciences and Director, Foundation Fighting Blindness Center at the John A. Moran Eye Center. 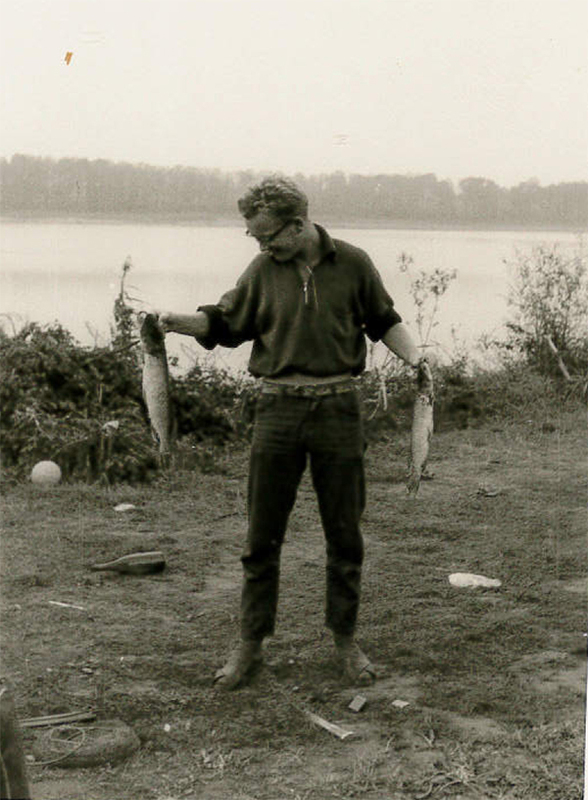 Here is a final image of Wolfgang fishing in 1966 for Rhein pikes (Hecht). Keep the images coming folks. Image Credits: Wolfgang Baehr, Ph.D.